Still remember Zinox Group, the patriotic ICT firm who made the first computer with a Naira sign on its keyboard? Zinox Group is a computer company which boasts of being the first ever internationally certified branded computer Original Equipment Manufacturer (OEM) in West Africa. They are also first to start making a made-in-Nigeria computer. 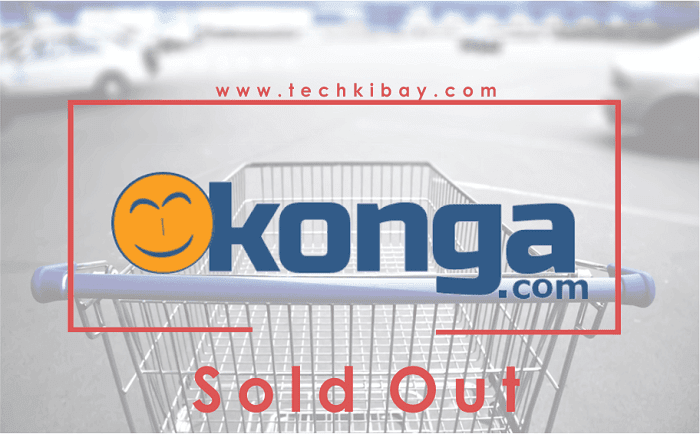 After months of closed-door negotiation, the computer company has released an official publication that they have acquired one of Nigeria's largest e-commerce platform, Konga. Konga is a world-class, professionally-run company whose landmark strides in the sector has gone a long way in ushering millions of Nigerians into the ease and convenience of online shopping and boosting the conduct of e-commerce in the country. Today, many Nigerians can attribute their first experience of e-commerce to Konga.com and we are excited to be a part of this remarkable story. Many shoppers can also attest to the speed and efficiency in delivery that characterizes Kos-Express, the company’s logistics arm, which is arguably the best in the sector at the moment. Our ambition is to up the tempo by revolutionising e-commerce on the African continent, with Konga at the fore-front of this initiative. Furthermore, the company said the acquisition has passed all regulatory approvals by the Securities and Exchange Commission and is expected to create employment opportunities for over 5,000 Nigerians, both at home and in the Diaspora within a short period. Zinox acquiring Konga alone is a great move by the company but it seems yet, there could be a brighter future for the ICT company and Nigerians. Some business analyst believes there are chances of Konga being integrated with Yudala. Yudala is another e-commerce giant in Nigeria owned by the Chairman of Zinox Group, Leo Stan Ekeh's son. Don't forget you can be part of the inner circle of consumers who are safe, secure and always get the best viral tech updates that concern them. Join the community HERE. We appreciate every thought posted on our blog posts. However, to maintain the quality and keep this blog spam free, every comment is held for moderation. It takes few hours for us to review the comments and decide whether to Approve or Disapprove.